Due September 15 and curated by Miller himself, the project delivers the group’s biggest worldwide chart-toppers, including "Take The Money And Run," "Rock'n Me," "Jet Airliner," "The Joker," "Abracadabra," "Jungle Love" and "Fly Like An Eagle”, alongside previously unreleased material. 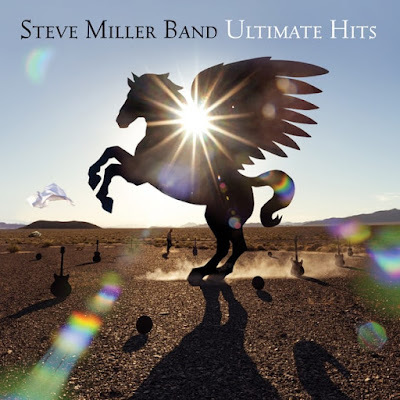 The 1CD and digital edition features 22 tracks, including three previously unreleased rarities: live recordings of "Living In The USA" and "Space Cowboy," as well as a never-before-released Steve Miller solo recording of "Seasons." The 40-track, expanded 2CD and digital Deluxe Edition adds those rarities plus five more previously unreleased studio and live recordings, including a demo for "Take The Money And Run." Complete track lists for both edition can be found below. Both versions will be issued on 180-gram vinyl in 2LP and 4LP deluxe packages on October 27. "Selecting material to include in these two collections and revisiting the creation of these recordings,” says Miller, “I'm reminded of how I learned to make multi-track recordings from Les Paul and play lead guitar from T Bone Walker. I've been blessed to work with so many wonderful musicians and engineers and friends over the years. “Mostly I want to thank you our fans who come out to our shows and listen to our records. I hope you enjoy this as much I did putting this together for you." After scoring a series of US platinum albums in the mid-70s, the rocker’s biggest-selling project to date has been his “Greatest Hits 1974–78” set, which has sold more than 17 million copies worldwide. Currently playing dates across North America with Peter Frampton, the Steve Miller Band will wrap up their summer tour in Murphys, CA on August 13. 01. "Harmony Of The Spheres 2"
02. "Steve Miller at age five talking to his Godfather Les Paul"
03. "Take The Money And Run"
13. "Serenade From The Stars"
15. "Fly Like An Eagle"
20. "I Want To Make The World Turn Around"
01. "Steve Miller at age five talking to his Godfather Les Paul"
11. "Shu Ba Da Du Ma Ma Ma Ma"
18. "Take The Money And Run"
21. "Fly Like An Eagle"
10. "Serenade From The Stars"
12. "Heart Like A Wheel"
14. "I Want To Make The World Turn Around"